While most people go to the dentist to have their teeth treated, it is important to take note that preventive dental care can be much more effective in maintaining that bright, white smile that you have. As a matter of fact, preventive dentistry can help you save thousands of dollars on complex dental procedures that have to be performed due to a serious dental problem. 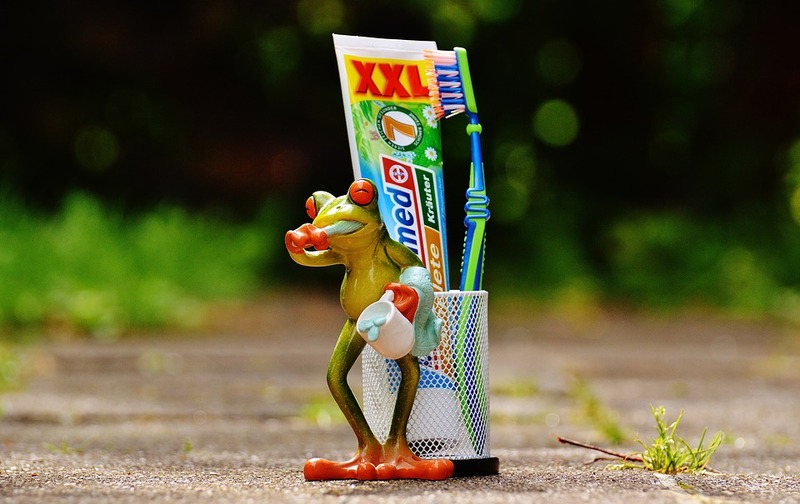 So what exactly is preventive dentistry and what services does it cover? It is the area of dentistry that focuses on those procedures and life practices that help people to prevent the beginning or progression of oral disease. It includes at-home dental care performed by patients, as well as dental care and education by professional dental staff in the office or clinic. Preventive dentistry includes two aspects of dental care, both performed to help patients avoid dental disease or to catch it in its early, more treatable stages. In part, it is the oral hygiene care performed by the patient at home. Preventive dentistry also encompasses what is done by the dental staff in their offices to help patients maintain healthy teeth and gums. In either case, the objective is to stop the development of oral disease or to find it at an early stage. Dental health professionals most often look for early signs of periodontal disease, dental decay, and other changes in the soft tissue of the mouth that could lead to oral cancer. Preventive dentistry should always be prescribed and not harm patients when done correctly. At times, dentists do need to take precautions when someone has a medical condition that would be affected by some of the procedures. Dentists need to be aware of certain medical conditions, such as mitral valve prolapse, which need to be treated with prophylactic antibiotics. Allergies to any of the medications or materials used in preventive dentistry are rare. Preventive care in a dental office includes prophylaxis, or the cleaning of the teeth, which removes accumulations of calculus. It includes examination of the teeth and soft tissue, using visual and tactile exams, radiographic examination, such as x rays, and oral cancer screening. Newer techniques to diagnose periodontal, or gum disease, include computerized measurement devices that measure the bacterial content in the mouth. Sometimes, dentists prescribe medications to help prevent dental disease. These include anti-inflammatory mouthwashes to prevent periodontal problems. Preventive procedures often performed by dentists for children include the use offluoride supplements and applications. Dentists apply dental sealants to children’s teeth, forming a barrier between tooth crevasses and bacteria to help ward off dental decay. Dental health professionals also look for malocclusions, and might refer patients to a dental specialist, such as an orthodontist, to correct a patient’s bad bite. Experts state that children should be evaluated by an orthodontist by age seven. An important part of preventive dentistry performed by dental professionals is educating patients about at-home care, nutrition, and smoking cessation. At-home procedures performed by patients that help ward off dental disease include regular and proper brushing, flossing and sometimes use of mouth rinses and at-home fluoride applications. Dentists and their staff explain proper brushing and flossing techniques. Proper brushing includes use of a soft nylon toothbrush with round-ended bristles. Patients should place the bristles along the gum line at a 45-degree angle to cover the tooth surface and gum line. The brushing technique should be gentle and in a rolling back-and-forth motion, with two to three teeth being brushed at a time. Patients should brush the inner surfaces of their teeth and tilt the brush vertically to brush the front teeth. Ideally, patients should use a back-and-forth motion to brush the biting surface of the teeth and the tongue. Flossing removes plaque from between teeth and at the gum line. It should be done with an 18-inch strip of floss wrapped around the middle fingers of each hand. The remaining one to two inches of floss that is inserted between the teeth should be directed by the thumbs. By keeping the floss taut, patients can use their index fingers to guide the floss between the lower teeth with a gentle zig-zag motion, while contouring the floss around the sides of the teeth. They should floss each tooth with a clean section of the floss and ensure that the floss goes under the gum line. Preventive dental care should begin in infancy, within the first year of life before teeth first appear, and continue throughout life. Even before teeth erupt, parents can clean infants’ gums after feeding. Preventive care in adolescence includes brushing and flossing, as well as wearing custom-made mouth guards to protect the teeth during contact sports. Considering that 75% of Americans have some form of dental disease, regular dental visits are particularly important for adults. Seniors often benefit from training in proper techniques of denture care and cleaning, which include brushing the replacement teeth. Those who have problems moving their hands because of arthritis, for example, also benefit from tips for adapting toothbrushes for easier handling.